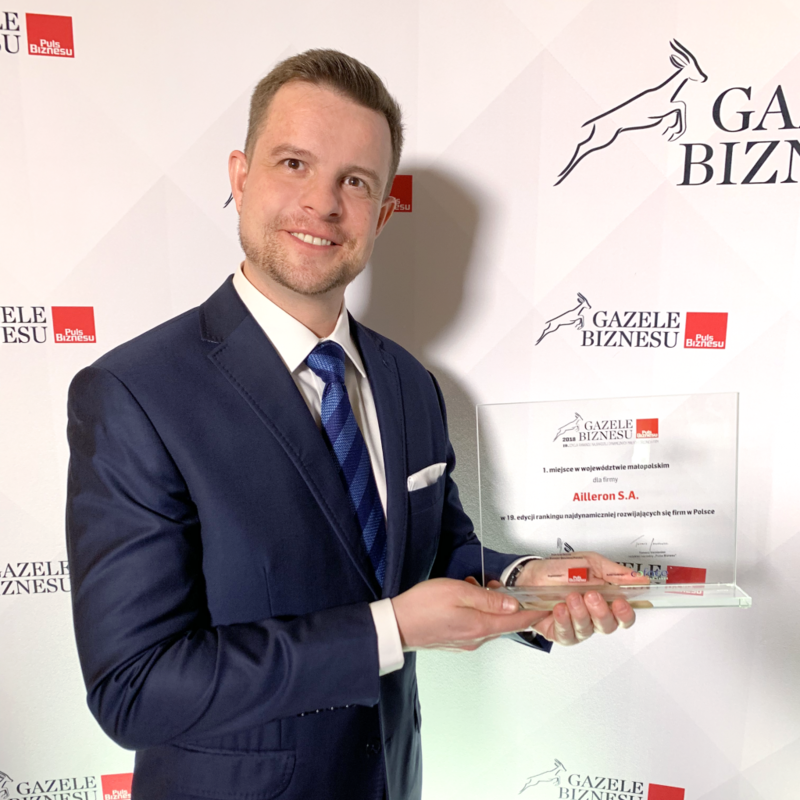 We are proud to announce that Ailleron was one of the prestigious winners of the Business Gazelles 2018 ranking. In the 18th edition of the ranking of the most dynamic small and medium enterprises, the Company won first place in the Małopolska region and 8th place in Poland. We are very pleased to receive the award another year in a row, especially as the title of Business Gazelle is a hallmark of well-managed, honest and financially sound companies. The financial results of the company in the last three years are one of the reasons for winning the award. In this period (2015–2017), the Company increased revenues by nearly 50% and net profit by almost 40% on a consolidated basis. It is worth mentioning that in comparison to last year, Ailleron advanced in the national ranking by as many as 18 places, which proves the continuous development of the company. The official award ceremony took place on 11 March 2019 in Warsaw.